Theoretically, the model could solve for magnetohydrodynamics calculations right out to the Voyager and Pioneer spacecraft, assuming they can provide useful data. This would then allow NASA to model the heliosphere right out to its boundary with interstellar space, where the interaction of exterior magnetospheres might be measured. 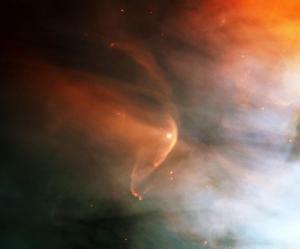 This might include the influence of the interstellar plasma flung outwards from the galactic core, or of local companions whose own magnetospheres might press against the Sun's own shell at its heliopause. The Sun is a complex MHD system that is poorly understood, where momentum is passed from the Sun to its planets through the expulsion of hot solar plasmas, including violent solar flares. Any extant companion sub-brown dwarf would provide substantial angular momentum to the solar system, filling in the gap that this MHD effect currently explains away. Bearing in mind how mysterious the dynamics of the Sun remain, there is certainly room for debate on this issue. Furthermore, given the potential link between the magnetospheres of the Sun and a proposed massive companion object, it seems telling indeed that NASA should choose ENLIL as the program's moniker. "The planets contain the bulk of the angular momentum in the solar system whereas the Sun contains the bulk of the mass. So where did the planets get their angular momentum? "Well, in the Astro-metric theory, this angular momentum came from Vulcan (or really Vulcan's PHH Seed). "This theory can be extended. Stars that have planets either now have, or have had, a binary companion. That our Earth is here is proof that the dark star once did, or still does, exist." NASA's Interstellar Boundary Explorer "IBEX" has revealed a massive heliotail, extending away from the Sun in a comet-like manner. The structure of this tail is similar in shape to a four-leaf clover, and rotated slightly due to external interactions from the local interstellar neighbourhood. Readers may recall that IBEX previously revealed a previously unknown ribbon of energetic neutral particles stretching across the heliopause - the magnetic boundary of the solar system which the exiting Voyager spacecraft have shown to be asymmetrical. I've thought a lot about the home world, the dark star, and if it's still out there. And I've concluded that (like you've said) it either hasn't been detected or it's not there anymore. Just thinking about how our climate is changing today, I just imagine a world being much more advanced than ours and the challenges they have faced over the years with climate change or nuclear war or whatever. I think about if one day any physical evidence is found that it might be just ancient ruins of one of the dark stars outer planets. It could be that the dark star is out there, but it's completely burnt out and life on the home world has ended. Look at mars. We have curiosity up there and it seems as if mars has once had water. Maybe earth was to preserve their blood line and pass on their legend. I believe however, if all these things have happened in the past and has been so influential to humanity, then one day we will stumble upon compelling evidence. The dark star theory is revolutionary. I think it's just like the rediscovery of the earth being round. Before the Middle Ages, the Romans knew the earth was round. They knew this because when they looked out to sea at the incoming ships, their masts would rise from the horizon until the ship was fully visible. Then the dark ages came and that knowledge was lost. And anyone who thought the earth was round was a lunatic. Same thing with Galileo, he was thrown in prison for saying Jupiter had moons. Copernicus was ridiculed for think the sun was the center of the solar system. It could be that knowledge of the sun being apart of a binary system was lost as well. If not lost through the dark ages but maybe earlier. In Fingerprints of the gods, by Graham Hancock, he researches that maybe there was an ancient civilization older than the Sumerians. A civilization flourishing before the last ice age and being wiped out by a global flood. Maybe then the binary knowledge was lost only waiting to be rediscovered. Another interesting theory is the idea that the precession of the equinoxes may not be the wobbling of the earths axis but the motion of the binary cycle. As the sun and dark star move through its binary cycle they drag along with them planets and comets. This could be why the sky seems to move through the constellations in a backward motion. If we look at each constellation in the zodiac, each on correlates very closely with what's going on earth. For example, we are in Pisces (the fish), this age has been ruled by religion and the Jesus figure which is symbolized as a fish. Over and over Jesus speaks parables of fish. He calls his disciples fishers of men. Go back further to the age of Aries (the ram), through that whole age every sacrifice was a ram. People worshiped ram headed gods and the ram itself. Further back in time, Taurus (the bull), the worship of the bull was very popular. So we see a pattern here. Now if we look at the zodiac calendar in a circular form it is said that the constellation that is opposite of the current age correlates with it. For instance, opposite of Pisces is Virgo. If Jesus is referred to the fish, then who is the most popular virgin? Jesus' mother Mary. Jesus was born of a virgin. Now Aquarius is the water bearer. He pours out the fish onto dry land killing it and starting fresh and new. The opposite of Aquarius is Leo (the lion). When I say lion, does your mind take you back to Egypt? The sphinx? So if Leo correlates with Aquarius, whats the symbolism here? Aquarius look back to Leo, the lion, the sphinx. Aquarius looks back to ancient Egypt. So this next age we will revisit our past to understand our future. I believe this means we will look at our past and realize its not what we've always thought. And the idea that we have been visited in the past, and influenced greatly by advanced being would be revolutionary. We will rediscovered what has been lost. So what I am getting at is, the precession is affected by the binary system. And the position of the sun and dark star greatly influences society here on earth. Each age correlates with a specific position of the sun and dark star. Possibly how they react with each other. For me, Graham Hancock's greatest contribution (among many) was the concept of the remains of ancient, pre-Ice Age-melt civilisations being located roughly at sea level and having been submerged by the rising global waters. I think there's very likely to be some credence to this. The binary connection to precession (re Walter Cruttenden) is problematic, at least if one connects the cycle to the current position of a massive companion. For this to work, the BD would have to be pretty close to us, relatively speaking, and be rather large too, making detection very straightforward. However, that is not to say that in a previous, closer orbit the interaction of the Dark Star did not set the precessional spin of the Earth in motion, rather like a spinning top. How are you ? Which is your opinion concerning the Ison Comet which will be at perihelion at November 28th and at perigee at December 26th ? Sorry for the delayed reply, Maurizio - I have had a painting exhibition this week and have not kept up with my emails. I have heard many things about the Ison comet, and it sounds like it might be quite spectacular this autumn. I haven't yet read anything that leads me to think it is connected with Planet X, however. What do you think? I know that you are a brilliant artist, best compliments ! As far as Ison Comet is concerned, it sounds a little bit strange the Nasa approach. I mean, at the very beginning, Ison Comet had been presented as the Comet of the Century. Later on Nasa started not to provide the necessary correct information. Despite NASA have officially announced that Comet Ison would be the "Comet of the Century” only three people have for the time being carried out detailed studies about it. They are the scholar Luca Scantamburlo on its website "www.angelismarriti.it", astrophysicist Jim McCanney on www.jmccanneyscience.com/ and the blogger 'Skywalk' expert in astronomy on its website www.isonsupercomet.blogspot.it ( It seems the very story you wrote in your two novels ). The passage of Ison Comet at perihelion at 0.012 AU on November 28th, 2013, can expose the same Ison to the risk of exceeding the Roche limit, for which the core it may break. The possible risk to Earth starting around January 2th, 2014 subsists in the presence of a large swarm of debris that will go below the Ison, passing nearly over our head. Coming back to Nibiru concept, we should define what we are speaking about when we mention the word " Nibiru ", the original planet of the so called Masters Gods or our Fathers, the so called Planet X, or the celestial body which will cause catastrophic events on Earth during its passages. Therefore its name could be KARATAS, as G.I. 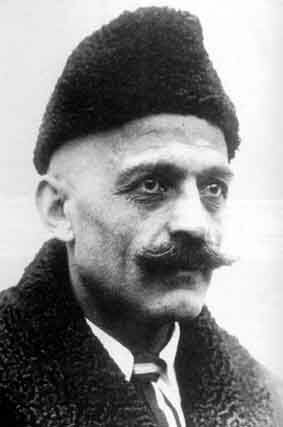 Gurdjieff wrote to indicate the planet of origin of the Higher Beings who performed genetic engineering on Homo Erectus in order to “ create “Homo Sapiens Sapiens. KARATAS means in Turkish BLACK STONE, so it may not be accidental that millions of pilgrims from fourteen centuries worship a black stone in the Kaaba inside the Grand Mosque in Mecca. Thank you, Maurizio, for such an enlightening email. You have a broad sweep of interest and expertise. The late Alan Alford wrote much about how some religions might have originally been based upon the worship of meteorites and, although he had moved away from the idea of ancient astronauts by that stage, a potential link is clear between such religious adoration and the gods of old. As for Ison, only time will tell whether its sphericity is indeed an anomaly, or simply due to other processes in its formation. We have had a number of false dawns before, and caution in the appraisal of in-coming comets seems a sensible approach. I am ever mindful, however, of the potential for one or more of these bodies to be located in a stable LaGrangian pocket along the Dark Star's orbit, which might hint at the truth beyond. 1) Tell us what defines you as a person? A positive outlook towards life and people. I love being creative, and very much enjoy the interaction with people who enjoy art, and their reactions to my work. 2) How did you find out about deviantART and why did you join the community? I was recommended to the network by an artisitic friend online. It differs from some of the other art social networks by its more youthful exuberance and passion for visual art of all varieties. 3) When and how did you discovered your passion for art? Quite young - I did art at school up to what is know GCSE standard, and got just a 'B'. The academic side of art didn't appeal to me, and I was already tending towards an aesthetic form of realism. So I decided to paddle my own canoe and taught myself from the age of about 20 how to paint. Before long, I was getting involved in the local art community, and then on-line as that sphere of interest gradually emerged. 4) What inspires you the most and when do you think your creativity is at its maximum? 5) What do you think you'd be doing if you hadn't chosen this path? I've written books, and had them published. I also have a day-job as a registered nurse at a district hospital. I'm a busy guy, but for me that makes life interesting and vibrant. 6) What do you think it's your most meaningful deviation and what makes it special? Does it have a story behind it? 'Woman Bathing', which I've painted a few times. Very elegant, good lighting effects and textures, and seems to have broad general appeal. 7) Do you have any insecurities regarding your art? Certainly - like most artists I agonize over work that doesn't feel finished, or whose flaws always dominate my view of my own work. We are our own worst critics? 8) Did art ever helped you to deal with your life problems? Yes, mood can play a big part in the creative process. I can work through feelings subconsciously through the expression of art, both high and low. 9) What is the one thing you always wanted to do but never got a chance to? At 45, there's still plenty of time left! 10) A few words for our fellow artists? Stick at it - art can be a life-long companion that enhances your vision and connection to the world and the people around you. "My book speaks completely of this subject as well as copyright permission from Jan Sitchin for references to her late husband. The book is fact and tells all about Sumerian text, Anunnaki, God of the bible and gods of old. My book starts with Mr. Sitchin and ends with his story line as told by the Sumerian text. It speaks of the relationship of God of the bible and the Sumerian gods, the Anunnaki. "It also discusses the concept of a human's soul , spirit and who God really is. The book is 168 pages of information and find[ing]s not discussed in history books or religion, although they are the same story told in different ways. Interested in more? Go to www.godandthegods.com to read my book preface page." It's something of a shock to hear of Lloyd's very recent cancer diagnosis. I can only wish him strength and courage as he faces the inevitable battles ahead; and hope for a swift, long-lasting recovery.